Neurontin Review | Does Neurontin Work? The pharmaceutical drug Gabapentin is also known by its other popular brand names, including Neurontin. This drug was originally developed as a treatment for epilepsy as well as other kinds of neuropathic conditions but it has also been used for several other off-label uses. Although the off-label use of the drug has caused other companies to undertake some legal action, there were actually cases in which Neurontin had been an effective medication. 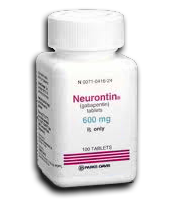 Neurontin is mainly used as a treatment for epilepsy and has been approved for use in several countries as cure to focal seizures. The drug has been used to treat mixed and partial seizure disorders but there is little evidence to back its use for generalized epilepsy. A lot of people have also used the medication to treat neuropathic pain, including those that result from cancer. It has been prescribed for migraine, insomnia, bipolar disorder, depression and other mental illnesses. Gabapentin, more popularly known as Neurontin, brings a lot of benefits to the table. For starters, it is effective in the treatment of partial epilepsy among adults and children. Aside from that, however, it is also popular for its off-label uses as it is able to treat anxiety, withdrawal symptoms caused by alcoholism, neuropathy related to AIDS/HIV as well as many other types of neuropathic pain. Many users of the drug have reported an overall reduction of pain. There are many things to watch out for while taking Neurontin, although its side effects are mostly low-profile ones. Such things would include dizziness, nausea and perhaps vomiting, drowsiness and moodiness, loss of memory, double or blurry vision or hyperactivity and loss in concentration. Typical side effects that one could get from taking anticonvulsants are usually displayed in Neurontin users. How Does Neurontin Help Brain Function? Seizures often occur when there is an erratic change in the electrical signals that are sent to the brain. The brain may become overly stimulated and would have an abnormal function when these signals come in rapid and repetitive successions. What Neurontin does is that it mimics the natural neurotransmitter called GABA, which acts as the natural "calming agent" inside the brain as it tries to calm the nerve activity down and thus treat the seizure. Check out our product review page if you would like to learn more about which supplements perform better than Neurontin!